Digital marketing and content marketing are common terms heard often today. However, modern marketing is still in the process of evolution. Businesses of today use content and product stories to woo and engage their audience online. Digital and content marketing strategies often intermingle and sometimes it is difficult to spot the differences between these two. Let us see what each actually is. This involves a gamut of activities that include websites, blogging, SEM, SEO, email marketing, etc., among others. Digital marketing is the name used for all the activities that are used to create awareness of the product or service. A digital marketing company in Cochin, for example, can be approached by a company to help them increase their customer base. 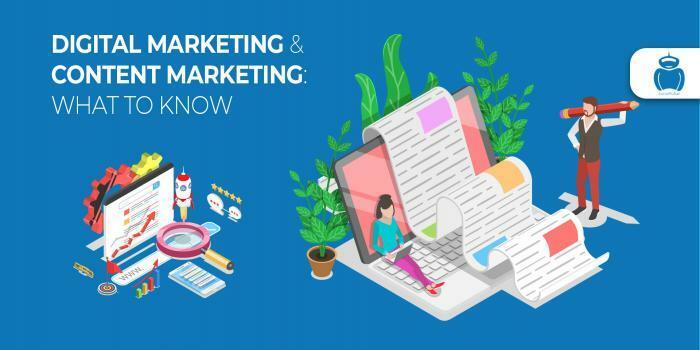 Content marketing is a subset of digital marketing but it actually refers to the many types of content that are used to reach out to different kinds of audience. The different types of content that are currently used in content marketing are articles, graphics, social media posts, and videos among others. The digital marketing head would assign content marketer to evolve a content marketing strategy to help customers in a specific space. The content marketer would probably write interesting and suitable blogs so as to promote engagement with the audience. The next promotional strategy would be one with social media marketing in mind. The digital marketing head would next engage a social media marketing company in Kochi that would devise a content calendar and make the posts on different popular social media at those times when the audience was online. The duty of the social media marketer would be to understand which content did well and which did not. The content marketer that actually created the content would tweak it with advice from social media marketing so that the result is favorable. The digital marketer would also work with an expert in SEO to bring in a keyword strategy that would suit the budget of the client. They would together create an ad campaign that would include relevant and most popular keywords that would help to increase the traffic and thereby improve lead generation. Therefore it can be seen that the content marketer takes actions to create original content based on the client’s requirements, the social marketer puts in work to amplify the content that is so created so that it reaches wherever it has to and engages the audience, and the SEO expert creates a pay-per-click campaign. These activities are clearly independent of one another and require totally different skills. How Reputation Management Affect Brand and Sales ?